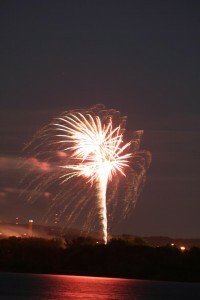 On July 4th there was a concert and Fireworks at the State Fairgrounds in Syracuse. I set up across the lake at Onondaga Lake Park to get some shots. Not too bad considering it was my first time trying this.